Enhanced New River oyster habitat and a warm winter should help guide Ricky Kellum find more spotted seatrout during April. 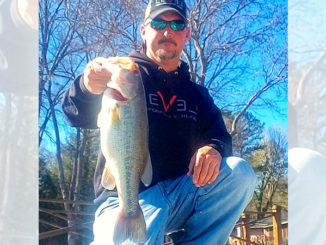 North Carolina didn’t experience bone-chilling, cold-stun fish kills this past winter. 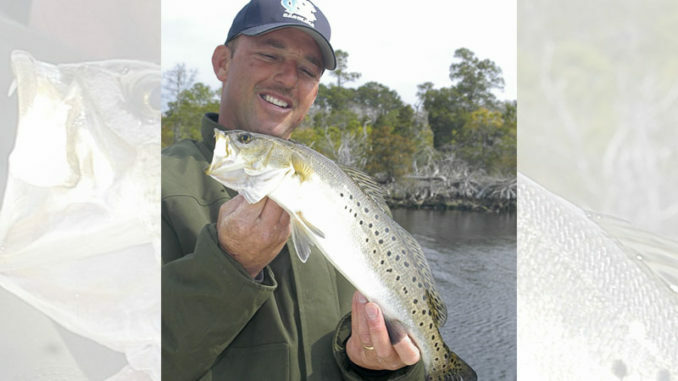 So spotted seatrout fishing should be extraordinary this spring, especially from Jacksonville to New River Inlet. 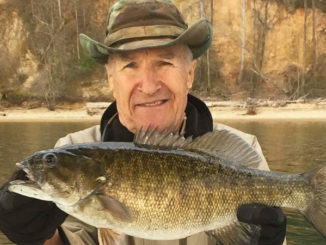 “April is when the trout bite really turns on,” said guide Ricky Kellum, “especially since we didn’t lose any fish this winter. 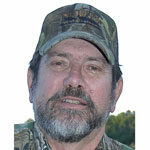 But the main attraction will be topwater fishing at main-river points, he said. 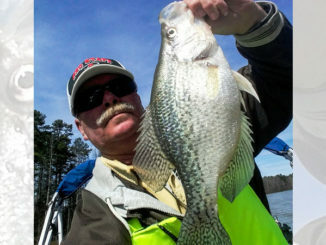 April may be Kellum’s favorite because topwater fishing heats up. His favorite river trout lure is a Zara Spook Jr., white body/charteuse head. But he also likes the bone color, a shade of ivory. “I also like a MirrOlure 808, which is orange and gold. It not only catches trout, but red drum in the main river,” said Kellum, who also fishes Catch 2000 suspending lures and 17 MR MirrOlures in electric chicken color. Kellum expects fishing to get a boost in 2019 from the 26-mile “Oyster Highway” — a project started in 2018 to place oyster rocks and young oysters in the New River to create a chain of oyster reefs. The major goal is to grow more oysters to filter the river’s water, but oyster bars and reefs also provide excellent habitat for many fish species.